I don't normally post sneak peeks, but I had to share this. I'm still a long way from having all of Mark and Janeen's wedding edited and ready to share, but this image is just too fun not to share. 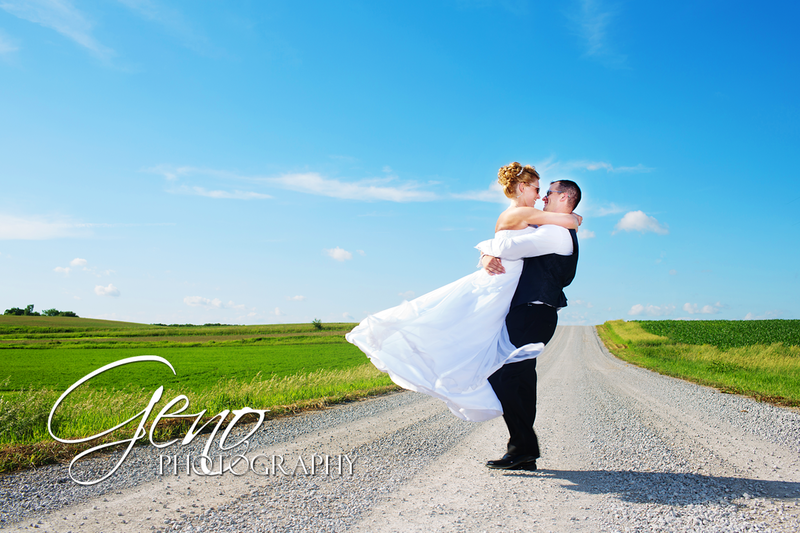 There is really nothing quite like a nice blue sky (on a day that was supposed to be stormy) out on the backroads of Iowa, surrounded by beautiful green fields. Simply lovely! 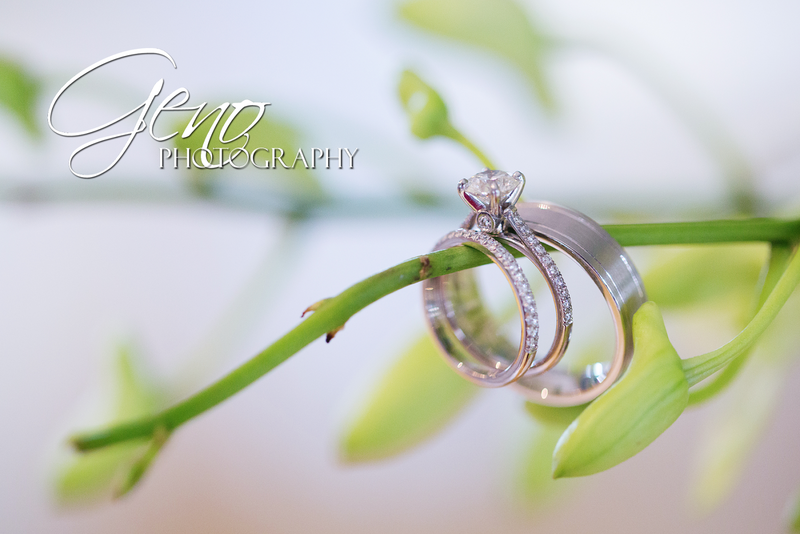 Check back later to hear more about Mark and Janeen's wedding day and to see more images of this beautiful couple! It is hard to believe this little peanut is three months old already. Seriously, time flies! I was so excited to have her back in front of my camera. I have to say, she is the most smiley three month old I think I've ever seen. Look at this sweet girl's gorgeous smile! She made my job so easy with her happy face. Honestly, my heart melts a bit each time I look at her portraits. Adorable! 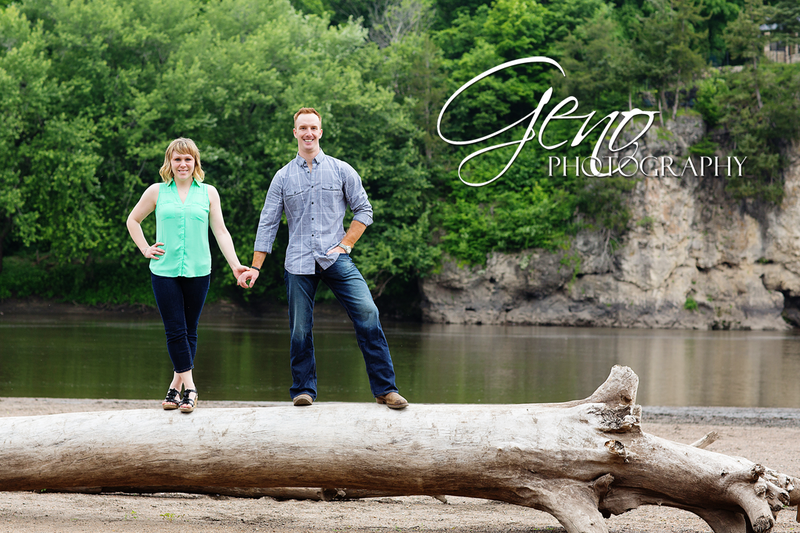 Recently, I met with Brandon and Emily for their engagement session at Palisades Keppler Park. Palisades is a gorgeous location and thankfully the stormy weather cleared in time for our session. The overcast skies created a soft, even light that really allowed for a lot of flexibility in photographing there. 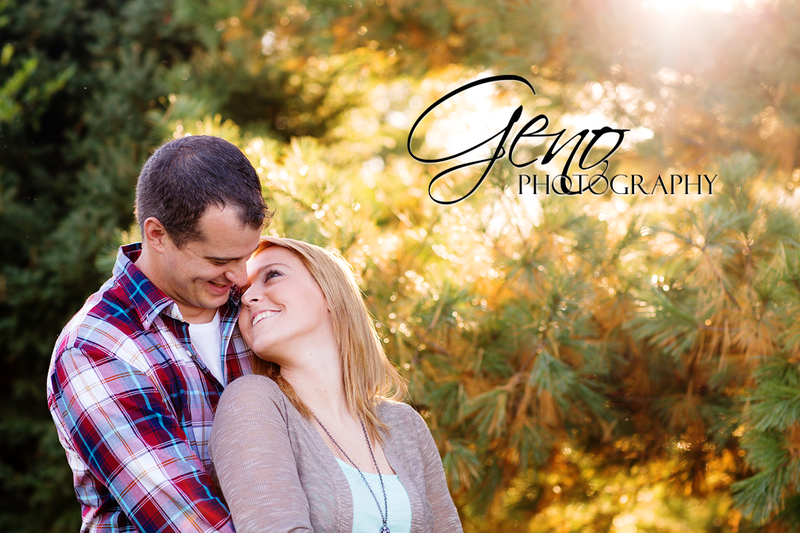 Brandon and Emily were so enjoyable to work with. They had great senses of humor and seemed very relaxed during their session. They even brought their adorable little dog along to the session. 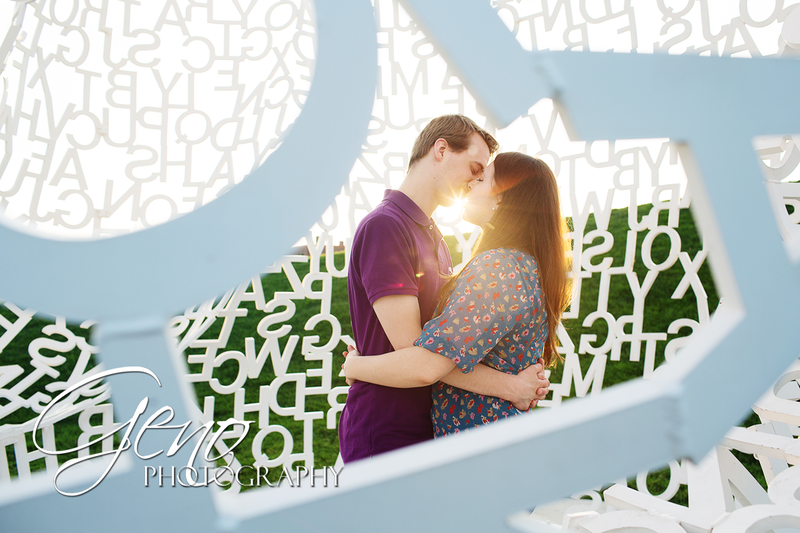 The first weekend in June, I met up with Peter and Ryan at the Des Moines Art Center rose garden. It was a beautiful setting to begin their engagement session. Earlier in the day a big thunderstorm had passed through the area. Thankfully, by the evening the skies had cleared and it was beautiful. The birth of a child is a wonderful and important event in your life. Whether it is your first baby or your fourth, each baby is special and precious. Babies grow so quickly, right before our eyes. While in the fog of sleepless nights and getting into the routine of having a new baby in the house, it may seem like time is standing still, but your little, tiny one is growing by leaps and bounds each day. It is so special to capture newborn portraits. 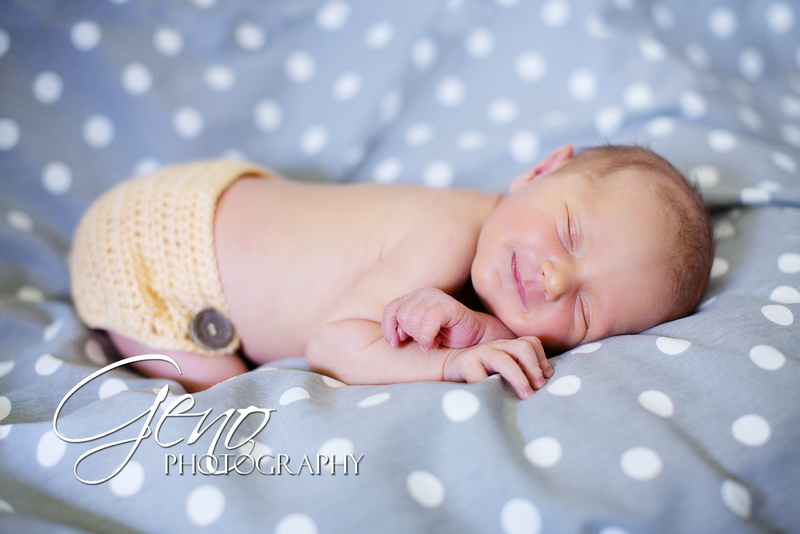 Newborn portraits are the perfect reminder of how little they once were and capture the love shared in your new family. Things have been busy around the studio and guess what's happening today! At long last, the doors to the studio and the new steps are finally being installed. I am so excited to finally see the finishing touches all come together. It will be so great to have the interior door way looking like it should!! Once everything is in place, I will share pictures of the finished project. I can't wait! 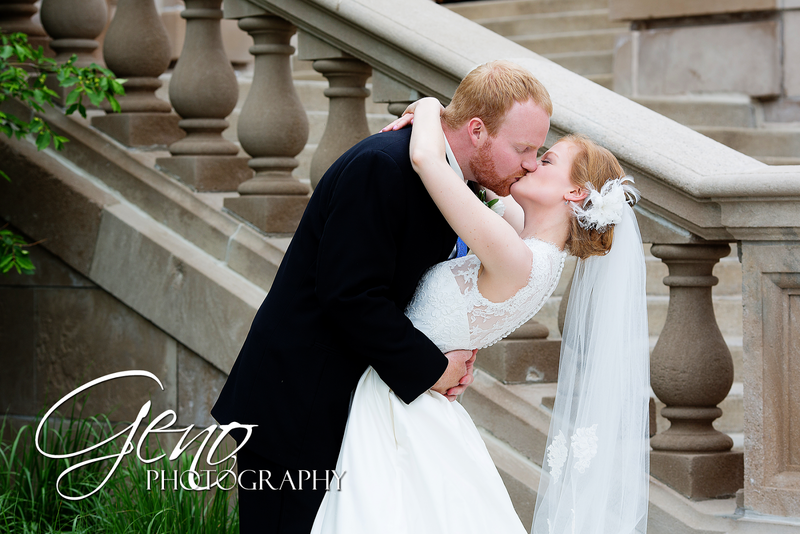 Memorial Day weekend, I had the pleasure of capturing Dan & Dazi's wedding at the Old Capital in Iowa City. The Old Capital is a beautiful location, one I have photographed outside of many, many times. Generally the interior is off limits to professional photography, but as they have recently opened their venue to hold weddings they are now allowing photography for couples who have their weddings at the Old Capital. I loved, loved, loved photographing inside the Old Capital. Not only is the architecture gorgeous, but it is filled with beautiful natural light. I had such a blast working in there. One of the most key elements in photography is lighting. The lighting in an image can truly make or break it. 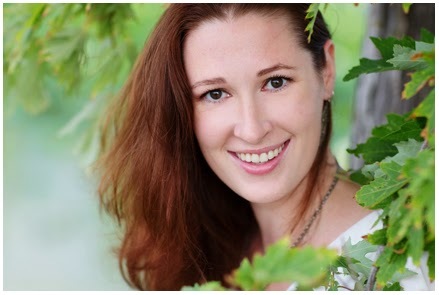 You may or may not have heard the term "golden hour" when talking to your photographer about portrait times. Golden hour is the hour after the sun rises and the hour before the sun sets. During golden hour the sun is low in the sky and the light is warm and dreamy. Even on the harshest, most sunny day; golden hour is a time with beautiful soft light. I've realized recently that I've introduced you to my beautiful daughters and my family as a whole, but I should properly introduce myself. I'm the creative soul and owner of Geno Photography. I am a hopeless romantic, and I love capturing special moments. Whether they are at a wedding or during a portrait session, I think they are the ultimate things that make life beautiful. This is the best part of my job. Being creative is wonderful and I am so thankful to be in a career where I can put my creativity to use, but the thing that give me the most satisfaction is creating images that convey the emotion of the moment. Images of the mother of the groom tearing up as she dances with her son on his wedding day. Images of first time parents snuggling up with their precious new baby and seeing the absolute joy on their faces. I love my job! Recently, I headed to the home of sweet, little six-day-old Eden to capture her newborn portraits. Eden was such a cooperative little one. We kept her room nice and toasty and her tummy full, and she slept wonderfully for her session. 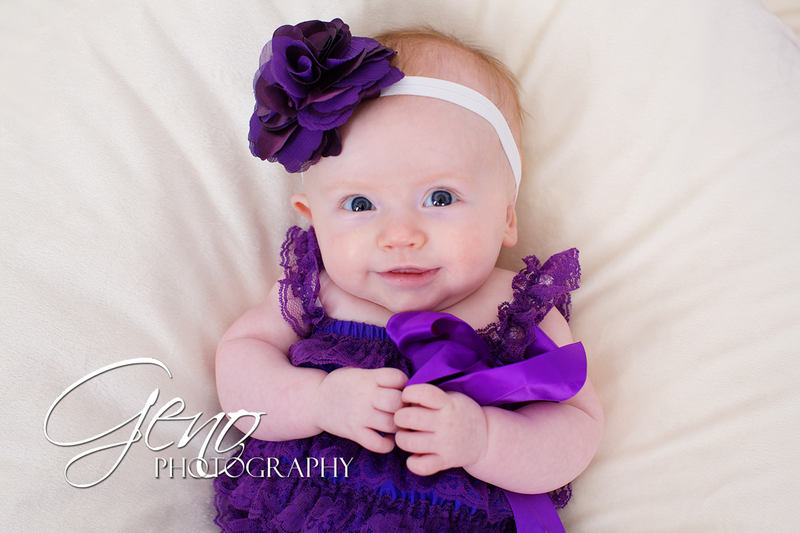 Eden was simply adorable during her session. She was full of smiles. I love the faces babies make in their sleep!